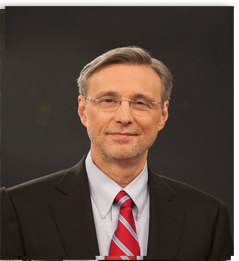 Thom Hartmann is the nation’s #1 progressive radio talk show host (also simulcast as TV in 40 million homes by Dish Network/Free Speech TV), and the New York Times bestselling, 4-times project Censored winning author of 21 books in print. He is live daily from noon-3 PM ET in New York, Los Angeles, San Francisco, Atlanta, Detroit, Seattle, Portland, Phoenix, Santa Fe, Grand Rapids, Asheville, Lansing, and on over one hundred other outlets nationwide including Chicago, Santa Barbara, Minneapolis, Madison, Denver, and on XM and Sirius Satellite radio, and simulcast as a TV show on the Free Speech TV Network (www.freespeech.org) carried on the national satellite TV system, Dish Network. He is also a four-time Project Censored-award-winning, New York Times best-selling author of 20 books in print and over 200 nationally published articles. His daily progressive radio talk show, now in its eighth year on the air, replaced Al Franken on the Air America Radio Network, is syndicated and distributed to radio and television stations nationwide and in Europe and Africa by Dial-Global (commercial radio), Pacifica (non-commercial radio), and Free Speech TV (nationwide satellite TV distribution on the Dish TV Network and to local cable TV networks). This entry was posted in National Programs, Programs, Thom Hartmann Show and tagged Thom Hartmann Show by Jake. Bookmark the permalink.